A few weeks ago I was browsing the aisles over at Superdrug when I happened upon the Miss Sporty display. I have my few concealer favorites from the line, but have never been tempted enough to try their lipstick before. 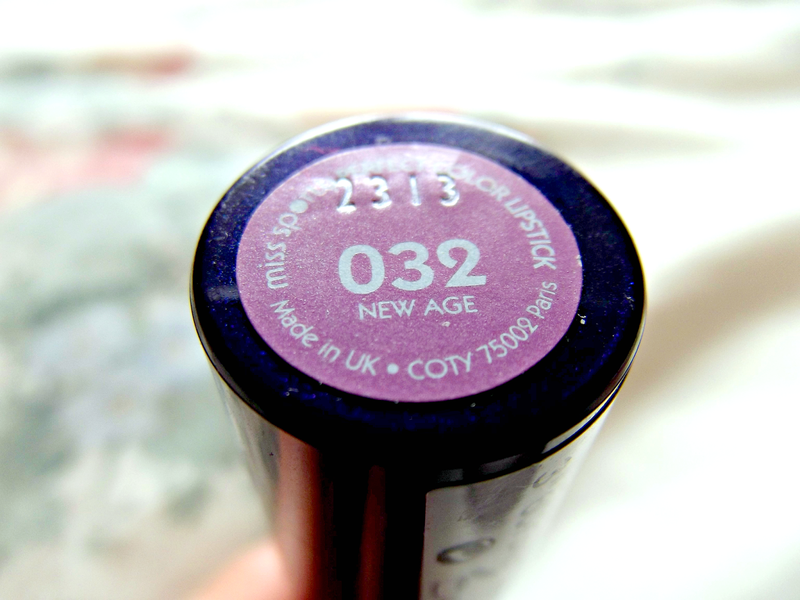 Making this, my very first lipstick purchase from the brand: Miss Sporty's Perfect Colour Lipstick in the shade 032 New Age for the bargain price of just £2.59. 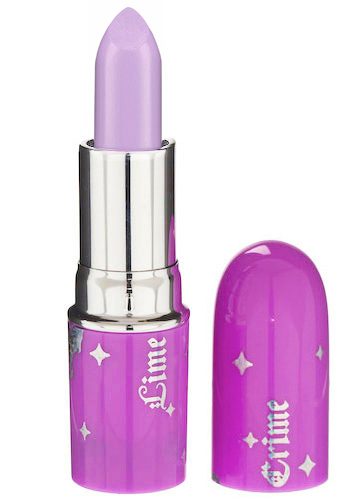 The Miss Sporty's 'New Age' shade is much more wearable for ever day and gives a translucent and shimmery finish, much different from that of Lime Crime. And the packaging is a little basic, but for a just fraction of the price what else would you expect? It's appearance on the lips is whimsical and unique but I wanted more impact. I even attempted to conceal and prime my lips to see if it would bring out the colour but they just ended up looking chalky with a side of shimmer. Not a look I would recommend! On the plus side it smells excitingly like grape and lasts a reasonable time considering the price tag. Though I would definitely recommend using a lip sealant such as - my favorite - Lipcote (£3.69) on top for longer lasting results as the lipstick started to come off after my first drink! I definitely had to reapply it over the course of the night. 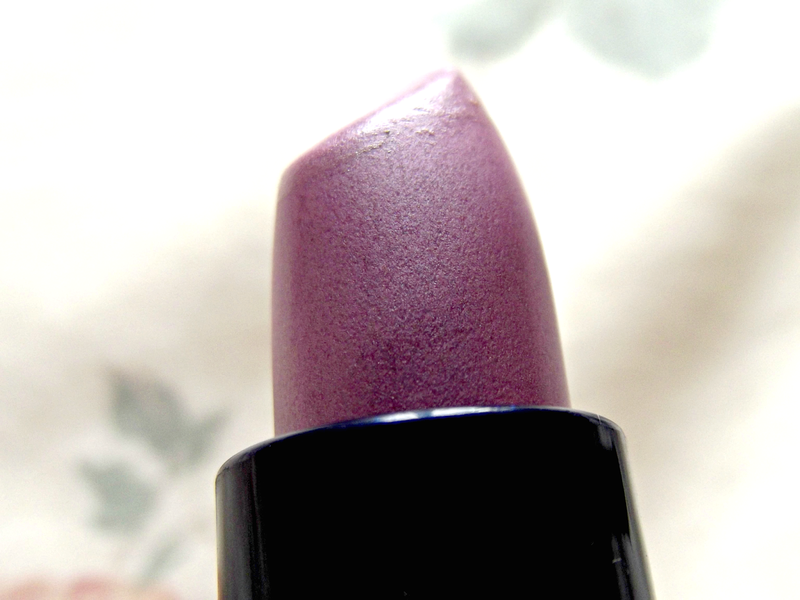 Overall I would say that this lipstick is great in providing a hint of uniqueness in your everyday or evening look but it's not something I'll be repurchasing as it reminds me too much of the shimmery bubblegum shades I bought in my tween years. I tend to make a bee line for more of a matte shades now. 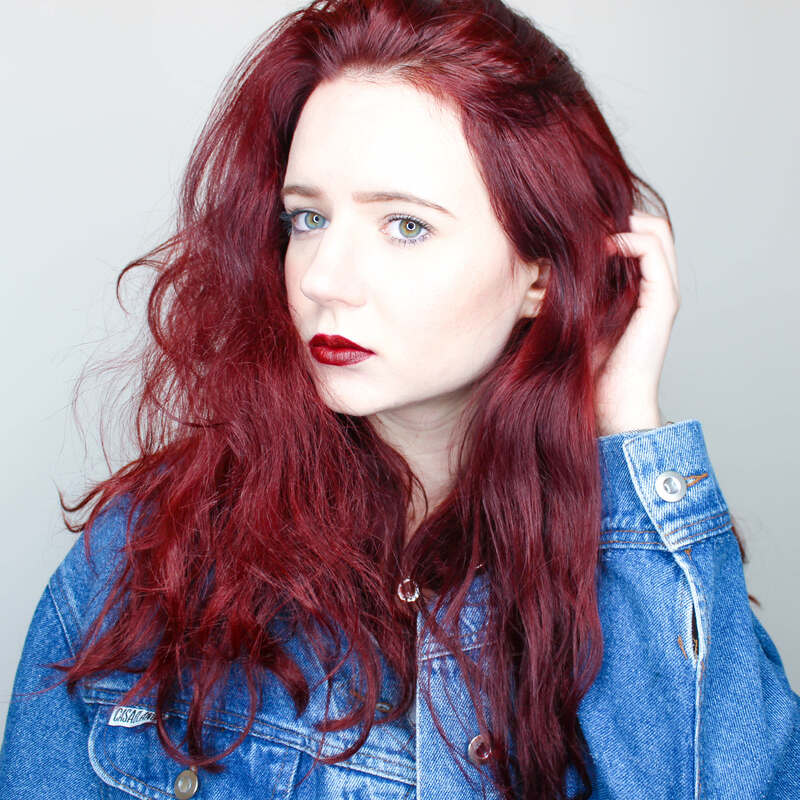 Imaged courtesy of Lime Crime.